Back in my country, weddings are not as costly as what it is in the US. Generally, we attended weddings within our own city but occasionally we had to travel long distance by trains. I know those trips and all the associated costs were too much for my father. This guest post from Alice talks about some of the ways to reduce the cost of attending a wedding. If you are in your 20s or 30s, chances are you have a few weddings coming up in the next few months. Once the season kicks off in the spring, there seems to be a wedding every few weekends all the way into the fall. Weddings can be a ton of fun but unfortunately, they can also be very expensive and not just for the hosts! Guests end up having to shell out hundreds of dollars for transportation, lodging, gifts and other associated costs. When you’re in the wedding and receive invitations to things like out-of-town showers, bachelorette parties, and rehearsal dinners, the costs can even reach into the thousands. The nice thing about weddings is that you usually go with a group of friends. If that’s the case, see what you can do to split costs among a few people, whether that means sharing a hotel room or going in on a group gift so that you can each spend a bit less overall. It’s easy to think that you’re required to attend everything from showers to out-of-town bachelorette parties but if you can’t afford to, you should not feel obligated. As long as they don’t see you spend that money on other unnecessary things instead, true friends will understand that you want to be there but just don’t have the cash at the moment. For example, don’t skip a bridal shower because you can’t afford a gift but then show up at the wedding in a brand new car. If you have great penmanship, offer to help the bride address invites. If you’re a great photographer, see if you can shoot some engagement pictures or capture some candids at the rehearsal dinner. If this seems normal to you, like many, skip the registry if the things listed there are costlier than your budgeted amount. It should be perfectly fine for the bride or groom to get a surprise gift. Just don’t go for too cheap to your own taste. You can even make a DIY gift. Here’s one article with DIY valentines day gift ideas, you can take a cue from. Even a group gift where a number of people can pull money in can be a thing to consider as well. Check for the cheaper stay options. Keep in mind the transportation cost. Often it is wiser to stay at the main hotel where bride and groom booked the room. First, you can’t drink and then you can miss out on some fun. If you can get cheaper nearby hotels where you can walk to and from. Also, staying as a group can save you lots of money. Especially if you opt for two queen bedroom, two people can easily fit into one room, which cuts your cost to half. Sharing even cut the car rental cost. 4 people can rent one car. Doing these things as a present to the couple can be a great way to help the couple keep their stress levels and wedding costs down while also allowing you to spend less on their wedding or shower gifts. I attended my sister’s wedding last year on the opposite coast from where I live. It was definitely costly – especially the travel accommodations! I would say look into deals early and start saving money if you absolutely have to attend. Definitely! and you can’t say “no” to your sister’s wedding! Wedding costs definitely add up! We usually just give cash and that is definitely more expensive. I find it really hard to say no to my friends invitations for weddings especially since I might need them to show up for mine 🙂 But I think its definitely a good idea to beware of the creeping costs of weeding and this are great tips to save on weddings! I have no problem saying NO. I have been invited with my wifey to so many weddings out of state and its just taxes. Traveling, hotel fee, and food. Not to mention being in the wedding. I let them know I cant make it and send our gift. When my wifey is in the weddings she tries her best to get everything as far as cost up front so she can plan. Usually if she travels alone she gets rooms with her girlfriends and they share the transportation. Yea, that’s definitely smart. This also makes the bride and groom think. My roommate is getting married next year and she’s having a hard time deciding who to invite to her destination wedding, not because she doesn’t love all her friends and relatives but she doesn’t want the person to have to say ‘no’ to an invite because of availability+ monetary issues! Weddings can be costly to attend. We have one this winter in boston and you have to pay for airfare, hotel, car, gifts and other expenses. These are some great tips for how to save though. Weddings can be costly for us at some point but it’s still a great event to attend. Just witnessing two lovers tie the know is a nice scene and the party after it should be fun too. You could still be prepare for it for you to not lose too much money. 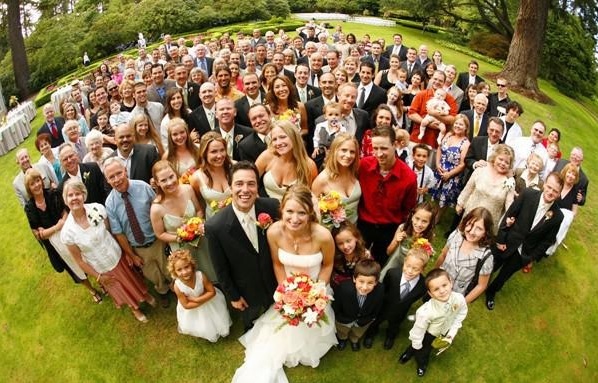 By allocating a small amount of your income every year and saving it for any weddings that you would attend to, you will surely have the money and attend it if you really wanted to. I like the idea of saying no to a friend of a friend of a friend’s type of wedding. I’d never miss the very close friends or family, but cutting back on those extended ones seems to work well. It’s hard when the invitations comes from your close friends or relatives. It’s easier when it’s not :). I remember attending a wedding of my best friend John. We flew all the way to Boracay. His wife is from Philippines. Although we spend a lot of money, we really had a great time. For me it’s the best vacation that I had. The wedding was perfect. The Island is like paradise. Discovery Shores(hotel) is amazing.. I will not forget that experienced. It is indeed alright to say “no” rather than lending money and pretend that you can afford everything. I love making personalized gifts when attending weddings. Nice tips. and it is ok to say No but also remember that usually the wedding invitations come a bit earlier so you have time to prepare for that wedding.